Do you have to be a fan of F. Scott Fitzgerald to be jazzed that Stewart O'Tan's West of Sunset, the novelization of Scott's last sad years in Hollywood, is getting the screen treatment? Probably. Otherwise why would you care about the tragic and alcoholic fall from grace of one of America's greatest writers? A writer who lived from story to story, paycheck to paycheck, and who never experienced the success he craved—and deserved—as a novelist. 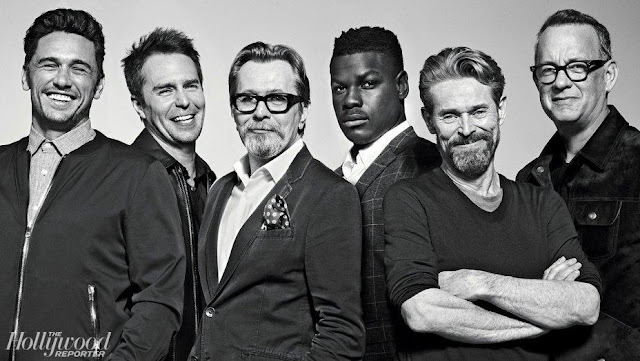 But I am a fan, and I am jazzed to say the least. I've been meaning to read the book and, now I'll be more or lesser compelled to. I'm jazzed too that the adaptation will be in the capable hands of James Ponsoldt, director of Smashed and The Spectacular Now. Both feature alcoholic protagonists and he's proven he's got a deft hand in the way he handles their liquor. Mulling over who should play the Fitzgeraldesque hero, today seems like a good time to turn to F. Scott for our Saturday Matinee. The Last Time I Saw Paris, the 1954 film starring Van Johnson and Elizabeth Taylor is loosely based on the F. Scott Fitzgerald short story Babylon Revisited. 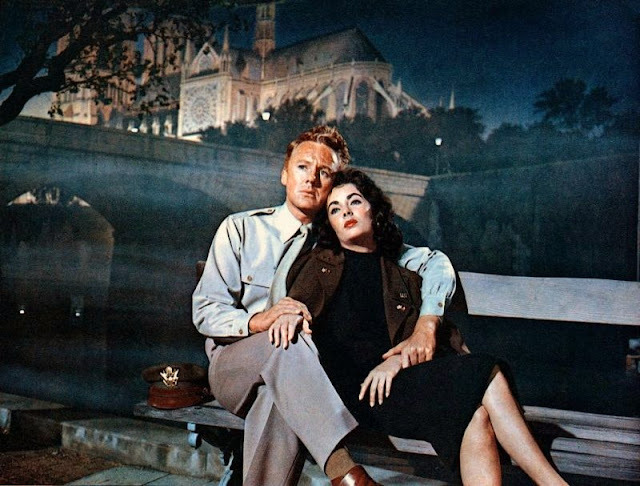 The story and the movie both open with Charlie/Van Johnson wandering into a bar in Paris and looking back over his life, and what happened the last time he saw Paris. 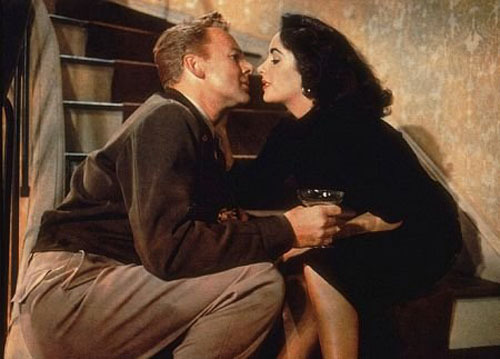 Charlie is married to Helen played by Elizabeth Taylor at the height of her beauty. She's a fun-loving living-large type while Charlie is a serious minded reporter striving to write The Great American Novel. 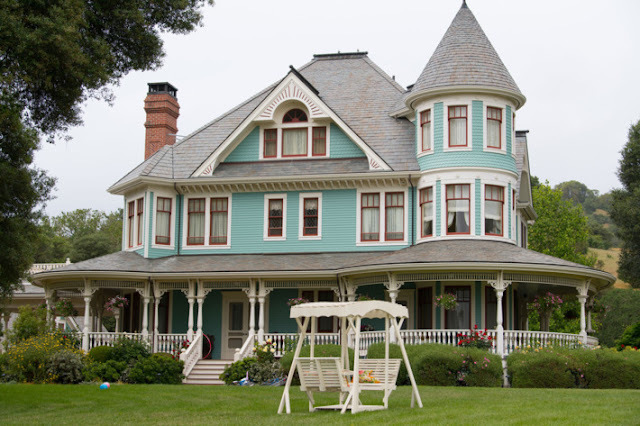 They have a child, a little girl, which has little effect on their lives and Charlie, unable to carve out a successful career as a novelist, starts to drink a good deal. Needless to say, things don't go so well. Autobiographical, much? 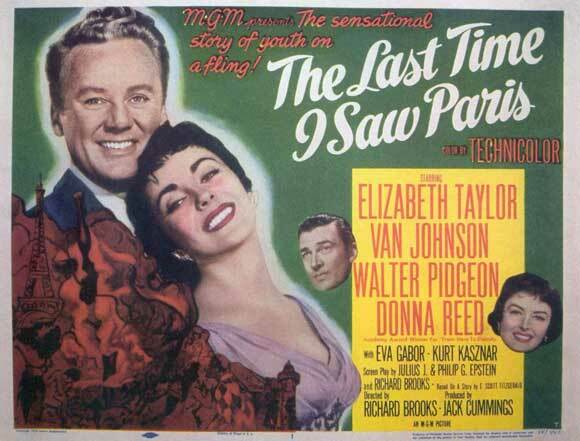 Fitzgerald died in 1940, long before this movie was made but he would probably have been thrilled beyond words that major movie stars like Van Johnson and Elizabeth Taylor were starring in an adaptation of his story. Absolutely thrilled. 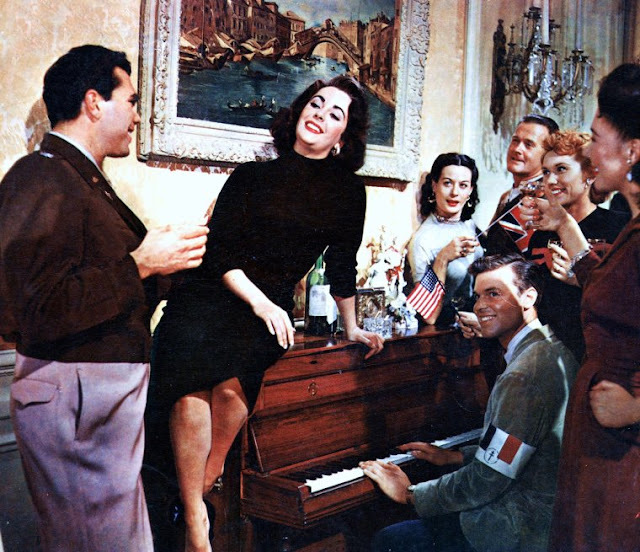 The cast includes Walter Pidgeon as Taylor's one-time wealthy father and Donna Reed as Marion—the girl Charlie dumps in favor of her sister, the drop dead gorgeous, Helen. 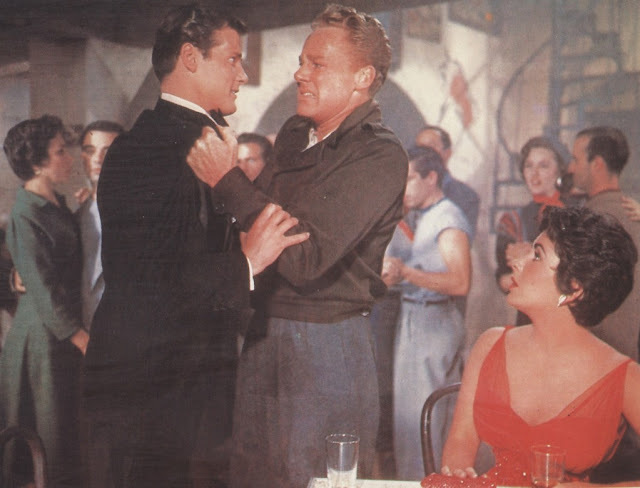 Eva Gabor as Lorraine and Roger Moore as Paul, play rivals for the couple's affections. 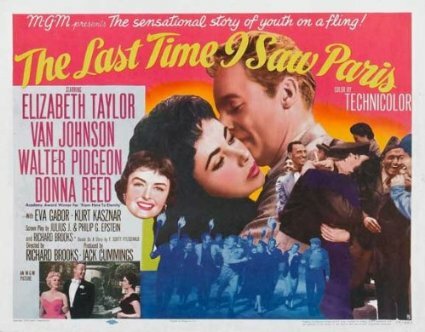 Elizabeth Taylor was just twenty two, had been acting for a dozen years and made almost two dozen films before starring in this technicolor beauty. 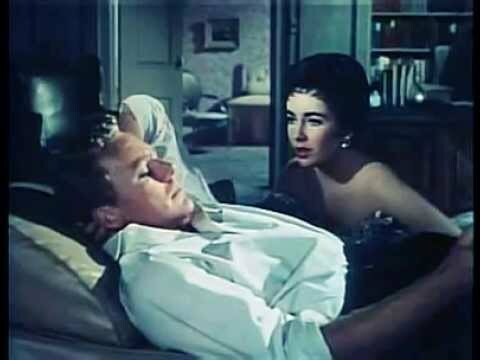 Take a gander at the vintage 50's trailer and if you like what you see, forget your Saturday to-do list of errands, pull down the shades, turn on the tv, and watch The Last Time I Saw Paris on Amazon, Google Play or Vudu this afternoon. That's what I'll be doing. Can't get enough of France? Check out this weekly meme. I have this on DVD in the house, but I've never watched it! I'll have to dust it off- it looks good. I didn't know about the F. Scott Fitzgerald link. 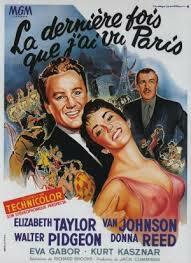 I've got a French movie today too. I hope you watch and enjoy it ladies. 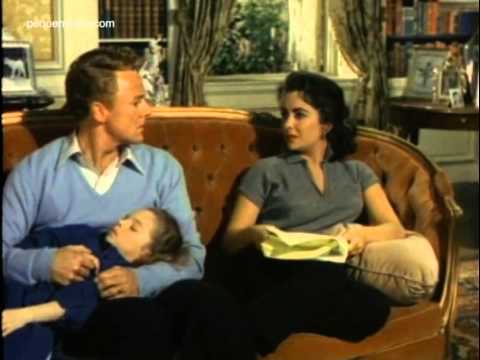 While I've never been a Van Johnson fan and found it a bit melodramatic, I got quite swept away with the story and the father's relationship with his little girl. 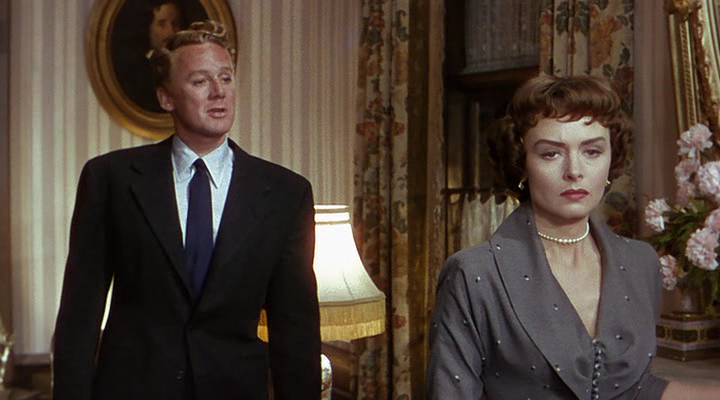 That part is quite faithful to the Fitzgerald short story, although the movie's ending is certainly happier than the story's. 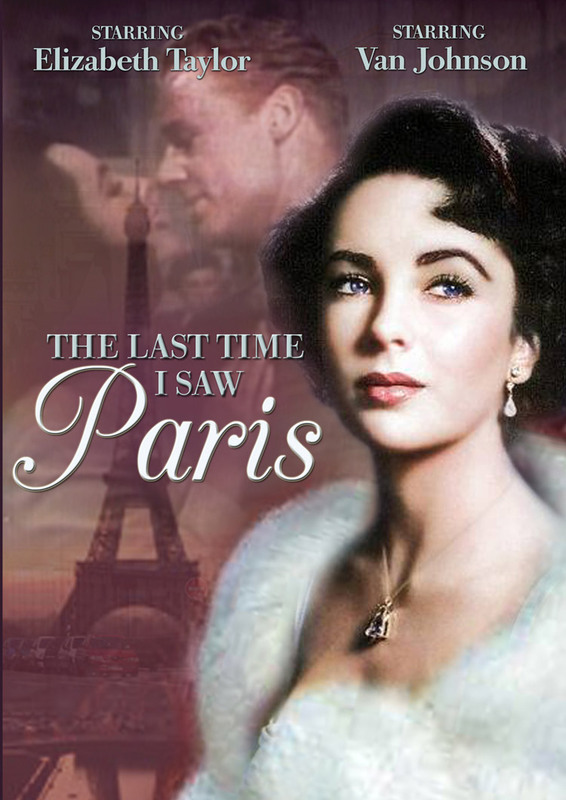 Elizabeth Taylor really was breathtaking! I left a comment on this one last week but it seems to have vanished. 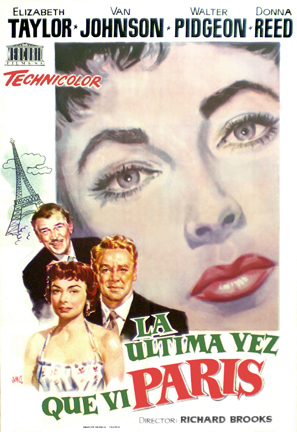 I saw this movie with my mother when I was a little girl. What I remember most is my mother sobbing. I would love to see it again now. I had no idea it was from a Fizgerald story. I would like to read that too. Thanks for all the info Sim. I think I meant to write a review after I watched this movie and then spaced out completely! Sally, your comments about your mother sobbing struck me because that's what I did. Sobbed! I'm pretty emo but with this one I'd been watching, enjoying it but feeling too that it was on the melodramatic side, and that Van Johnson was a bit over the top. But when that film ended I was torn in two and couldn't help myself. Sobbing, not merely crying, is the correct word.